Fixed Indexed Annuity Will Create Secure Retirement. Can individual investors beat income annuities? No. 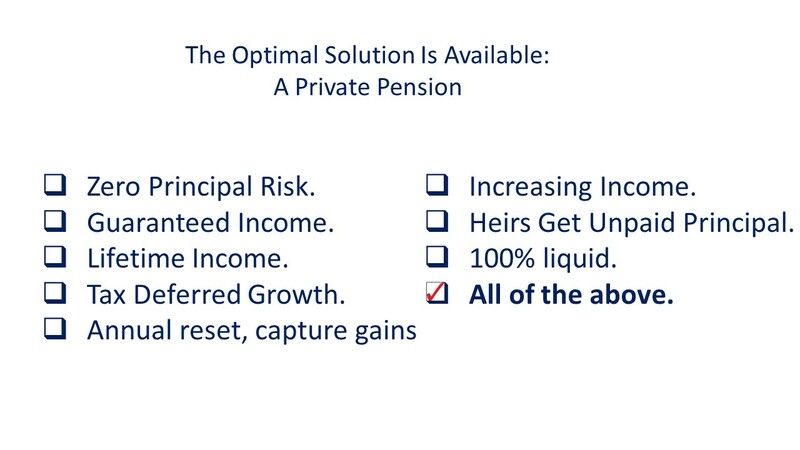 As we approach retirement, we should create guaranteed, lifetime income streams that are protected from loss, guaranteed to never go down – not correlated to the stock market or economic conditions? Individual investors or money managers cannot GUARANTEE zero losses and provide guaranteed income for as long as you live. 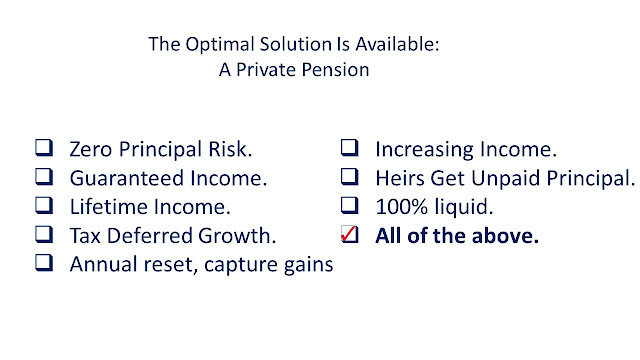 Call me today and let me show you how to purchase a guaranteed income annuity that is 100% liquid! At any time, you can terminate the plan and get a full refund of premium*. Don't buy an annuity without calling me first. Surrender charges in some annuities can be severe. The contracts we recommend guarantee you will NEVER lose principal regardless of stock market or economic conditions. 1. Longevity Risk is the #1 threat to financial stability in retirement. 2. Too many people approaching retirement or those currently in retirement are too heavily invested in risky assets. 3. Specially designed longevity annuities should be part of most retirement plans. 4. Individual investors cannot outperform a longevity annuity for guaranteed lifetime income. 5. Having a plan for retirement increases the chances for a better retirement. Email me, Ted Bernstein in Boca Raton, and I will send you a complimentary whitepaper from one of the leading retirement research centers. Or call me at 561-988-8984. *Minus any disclosed contract fees + investment income.